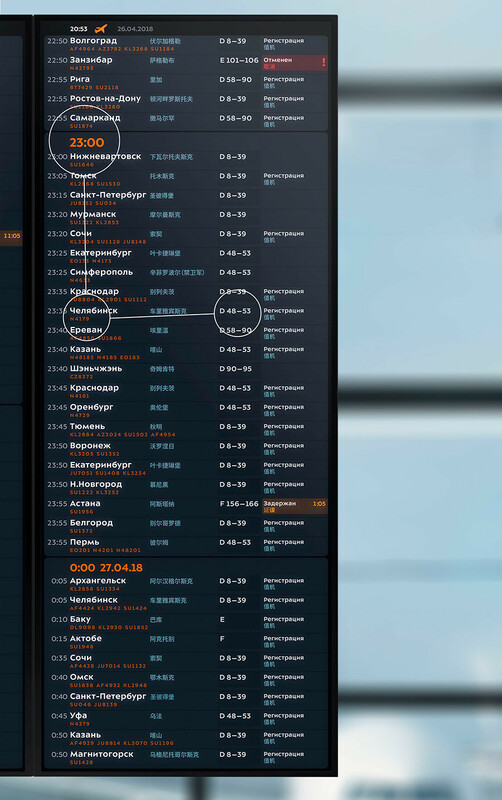 With a bold new format created by Russia’s leading design studio, the recently updated navigation system at Moscow’s Sheremetyevo airport makes travel much easier. Every second matters in air travel: if during a short layover you can’t quickly find your gate, then you might miss your flight. With that in mind the designers at Art. 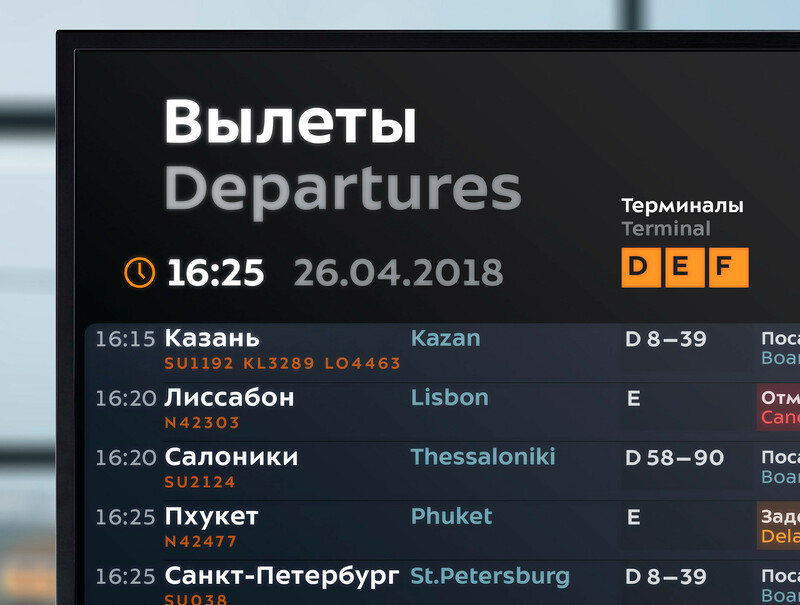 Lebedev Studio created a few innovative approaches for information displays at the largest airport in Russia, Sheremetyevo (SVO). Any other language can also be added. 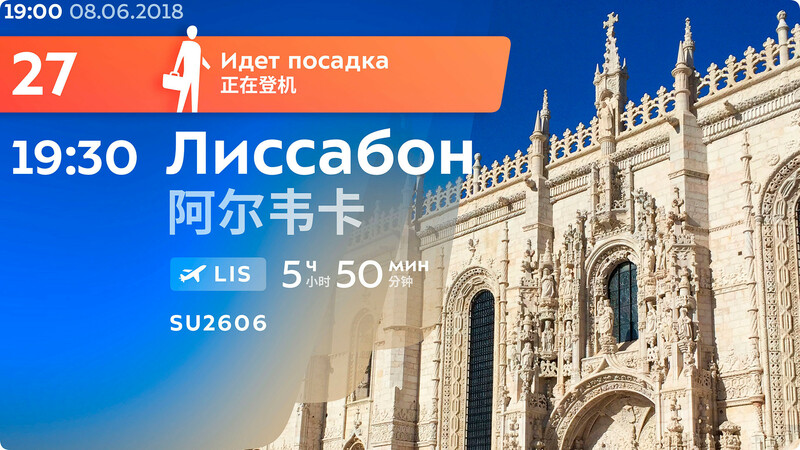 As a result, Russian-speaking passengers can find their flight immediately, and passengers from Chinese- and English-speaking countries have to wait for their language twice less than before. The curse of existing information displays are code-share flights operated by one company but put together with its code-share partners, with respective flight numbers. This means that one and the same flight can be displayed multiple times on the screen. At Sheremetyevo the monitors are normally installed in a group of six that simultaneously give information for 160 flights. What you get is an endless list of flights without any visual clues on where to start searching. Art. Lebedev’s designers found the simplest possible solution to this problem by grouping flights according to departure hour and adding big spaces with these hours. Passengers won’t have to look for their flights among all the clutter, but only in the respective block of the departure hour. 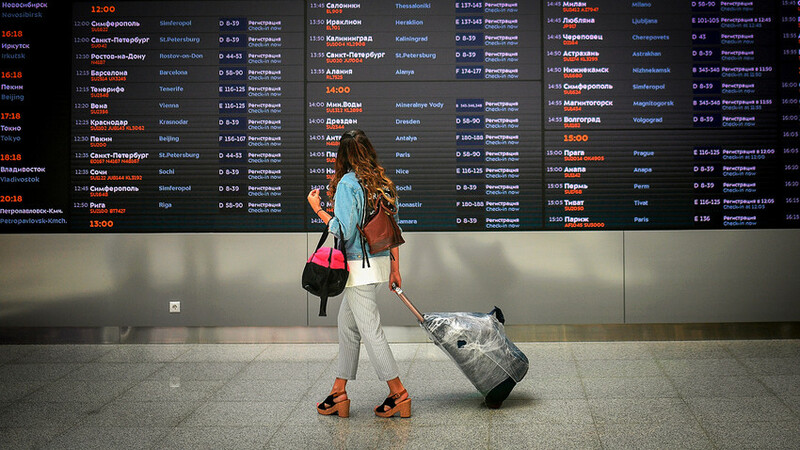 This solution is based on the idea that passengers will more readily recognize their gate by the destination’s signature image than by merely reading the text. If you want to know more about the busiest airports in Russia, check out our interactive map here.